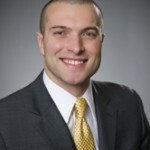 Andrew Tipton, Project Manager, Makes Move from DRI to DCA - Direct Recruiters Inc. Direct Consulting Associates (DCA) is pleased to announce that Andrew Tipton, Project Manager, has transitioned from their sister company, Direct Recruiters, Inc. to DCA in order to help expand their Healthcare IT practice area. Andrew is an experienced consultant and recruiter who possesses a wealth of knowledge within the Healthcare/Clinical IT field. The knowledge base that Andrew has enables him to accurately articulate information that is needed for technical professionals to make educated career discussions and decisions. Andrew specializes in building long-term relationships with top level professionals in order to understand their skills, goals and interests to provide opportunities that match the career progression they are seeking. 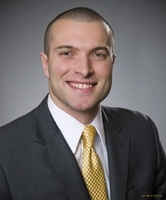 Andrew is a graduate of the University of Akron holding a BA in Business Organizational Communications. To contact Andrew Tipton: 440-996-0588 / atipton@dc-associates.com.